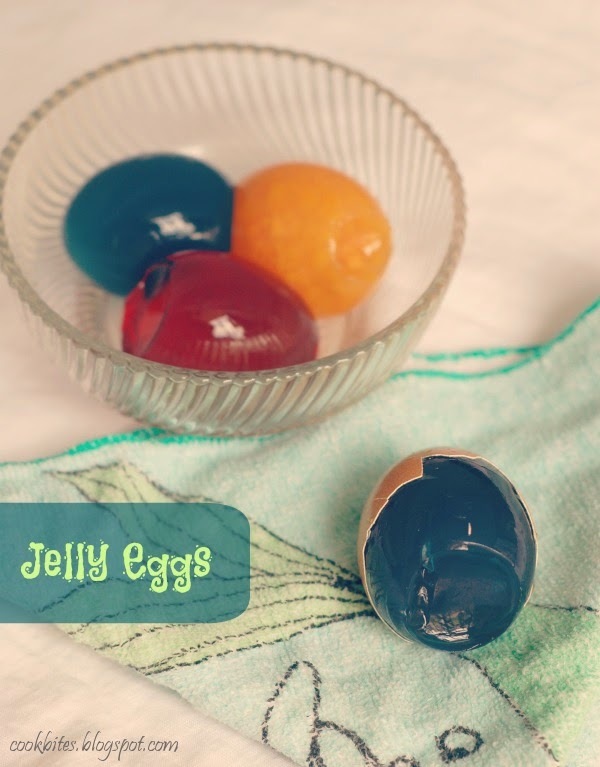 Then the idea of making jelly in eggshells came to my mind. So I started saving the shells whenever I cooked eggs or bake cakes and cookies. I wasn't sure if it was going to work. I thought if it didn't, I'd just take photos of them and post them on Pinterestfails. Ha ha.Thankfully, they turn out great. 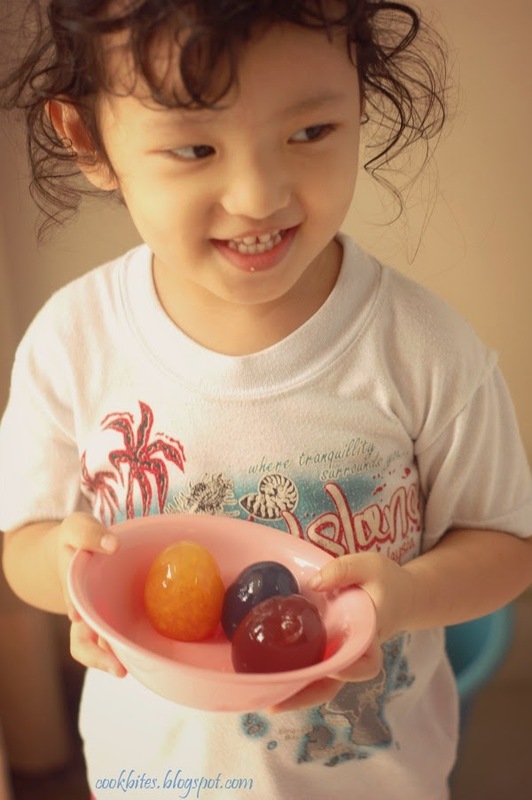 My little one enjoyed cracking the eggs and removing the shells. 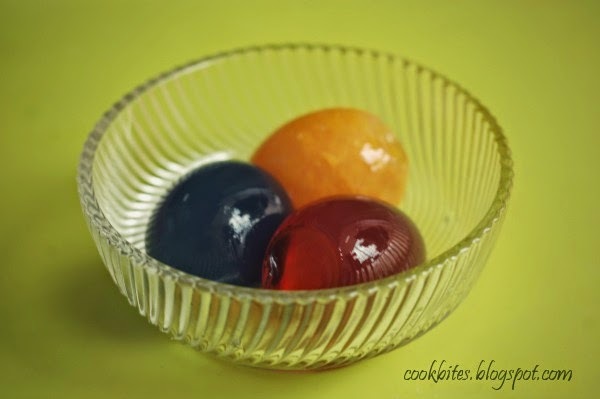 So I made clear jelly from agar powder, separated the liquid to three parts and added the above ingredients, and poured them into the empty eggshells. Then refrigerate.